May is bicycle month! I haven't ridden a bicycle in 7 or 8 years. So naturally I figured I could just borrow a mountain bike and go for a 40 mile ride. Owwww! I did four circuits of Hagg Lake out by Forest Grove. To really appreciate this feat, you have to check out the bike. It is hauling about 10 pounds too much weight in fenders, et. al. And check out the groovy helmet. 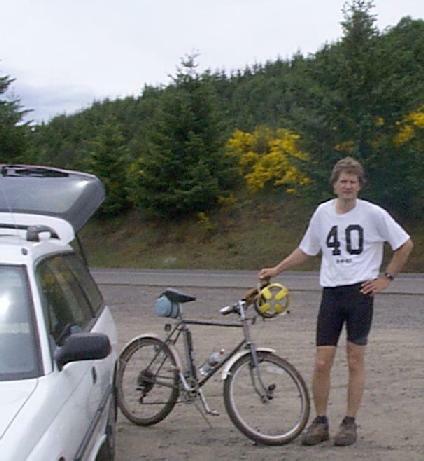 Hey, at least I had a pair of those silly padded bike shorts.